Tucked away in the shade, combines simple living areas with quirky and imaginative architecture. 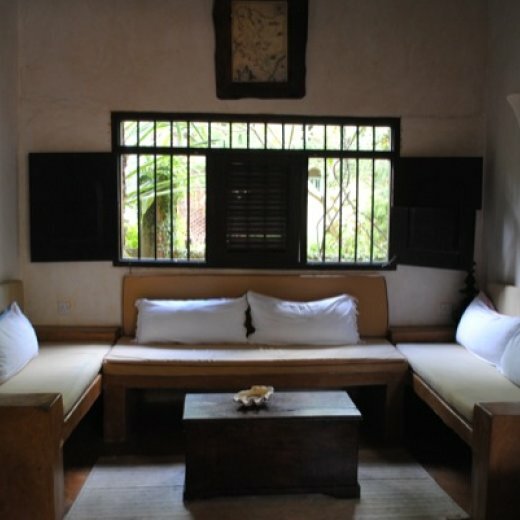 External wooden steps lead to the first floor thatched bedroom of the Bamboo Room. Here a terrace with an open sundeck and shaded pergola area catches all the breeze and has a pleasant green vista.